A part of the Movenpick Gruppe, MARCHE is a Swiss market restaurant concept that’s a brand spanning in nearly every continent in the world ~ from their headquarters in Kemptthal, Zurich, to Germany, Hungary, Slovenia, Croatia, Norway, Austria, Canada, it has find its way in Asia where Marche’s brand becomes iconic to the Swiss market. 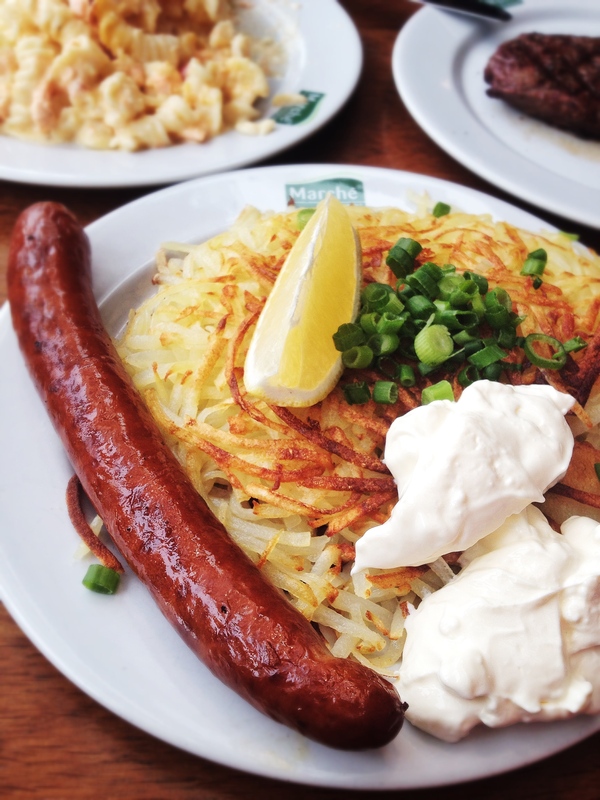 Marche brings the unique and freshest ingredients in Swiss dishes and serves it as an engaging experience to its customers as a Swiss market concept. It’s styled around the European marketplace where diners order meals from stalls. 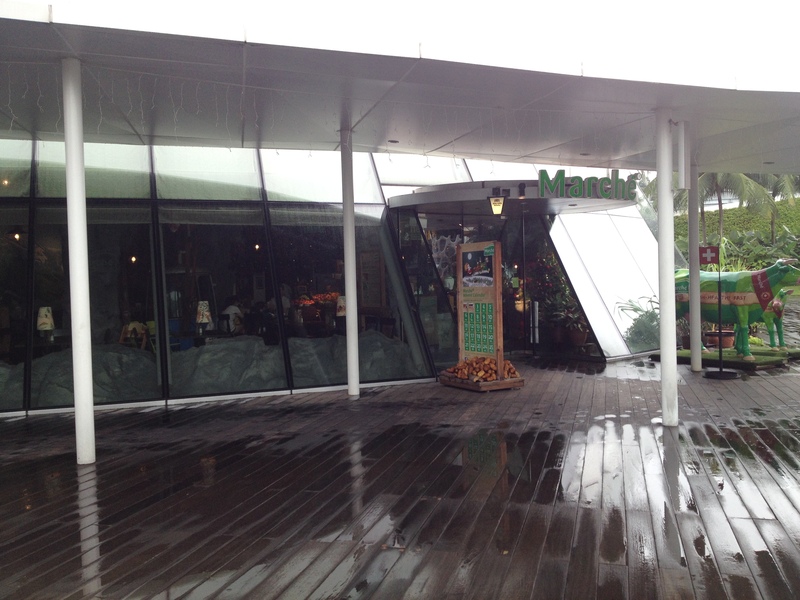 You’ll find eating at Marche a very fun experience as you read it here at Candid Cuisine. 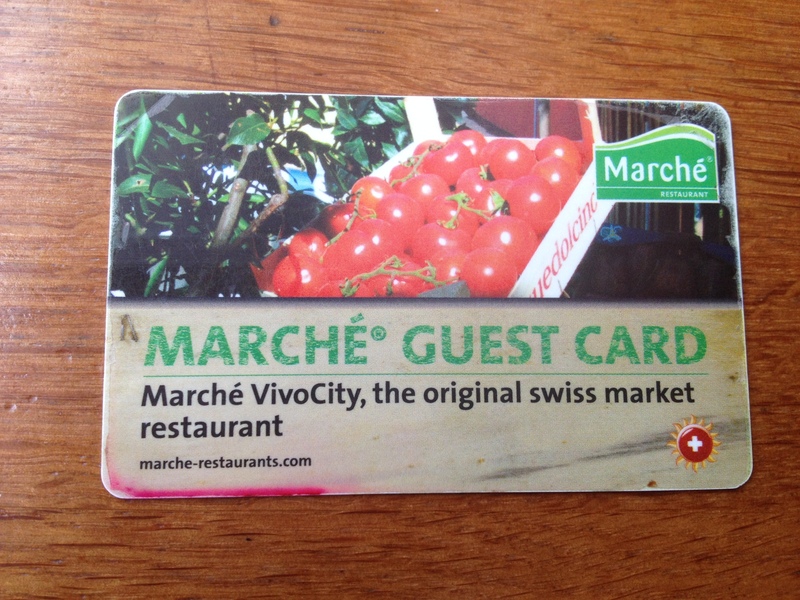 At Marche, you are given a guest card. The interiors of Marche takes its inspiration from a Swiss Market concept, where you choose what you want to order and have it cooked. The card is then used to tag your order and at the end of your meal, you can proceed to the Check Out counter and pay your bill. Of course, each Swiss dish you order has a price tagged to it, so it’s best if you roam around the Swiss Market first. It’s like having a life-sized menu in front of you, and you don’t have to worry about thinking if you will like the dish or not, as you expect it. 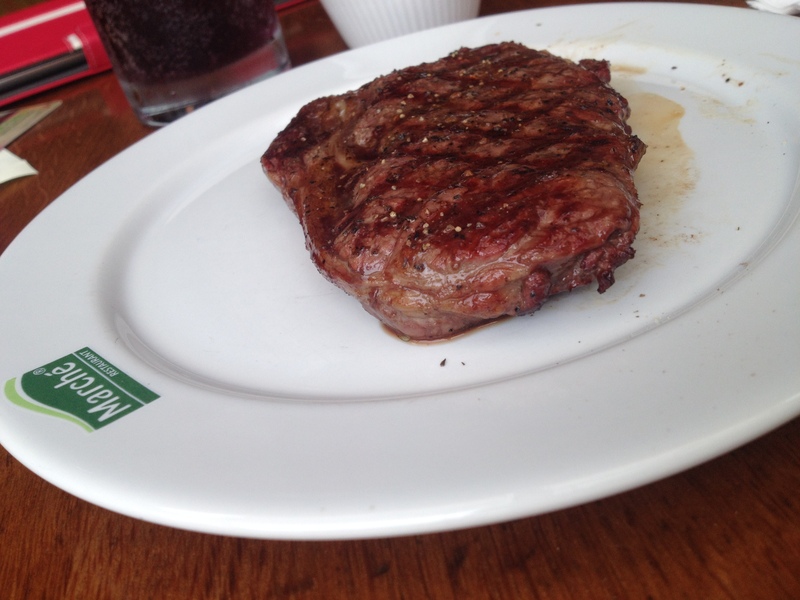 At Marche, you will find a wide variety of Swiss national dishes, ranging from steaks, pasta, lamb racks to grilled seafood and roasted chicken, all of which are bound to make you incredibly full with their large serving size. 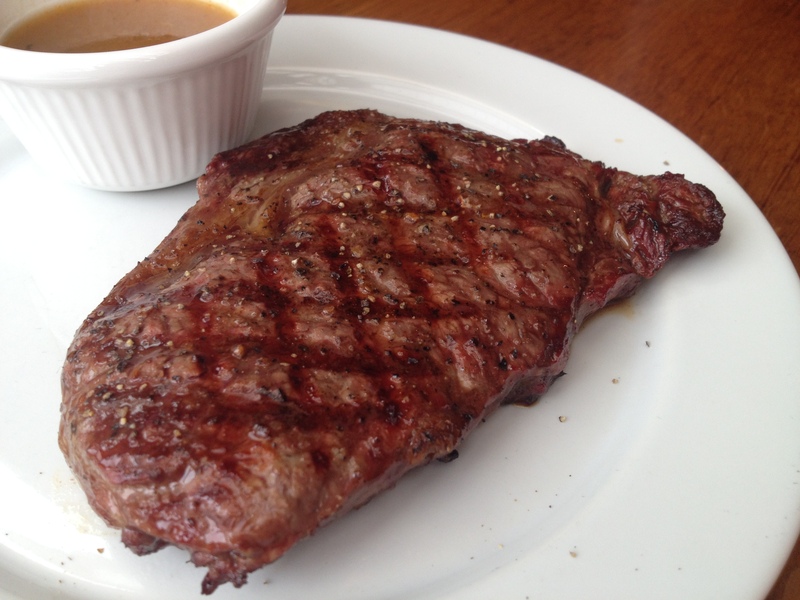 Marche’s Rib Eye Steak should keep your tastebuds watering. You can tell them to have it cooked medium rare or to your liking. 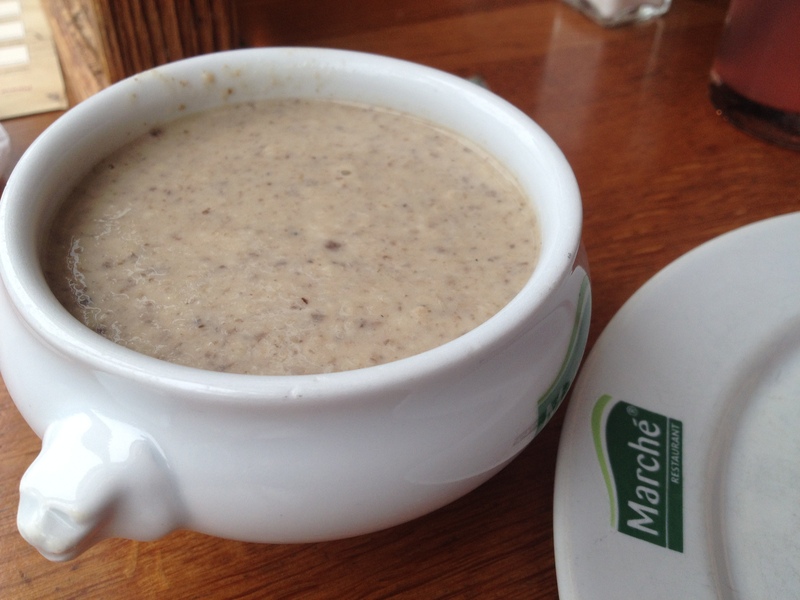 I liked Marche’s Cream of Mushroom soup. It isn’t the usual mushrooms just swimming in your soup. I liked that the mushrooms are diced and pureed into soup. It makes it all heartwarming in the stomach. To me, Marche’s pasta is left out cold. It’s too bad, but if this could be reheated then its just going to be phenomenal in taste. 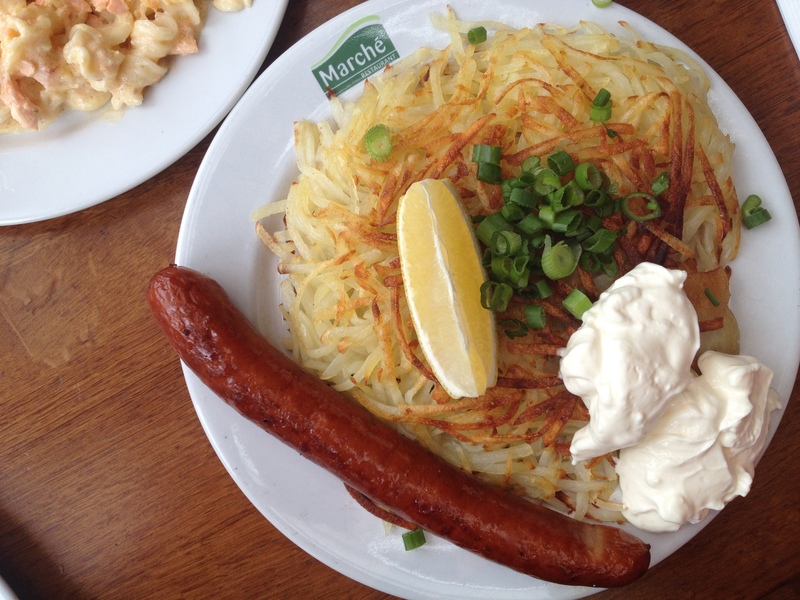 Potato is chopped into strings and fried ~ this is Marche’s Swiss Rosti, and possibly the richest flavor I’ve ever tasted at Marche. I’d recommend you to share this with someone else. It’s extremely hard to finish this by yourself. And for someone who hates sausages, I gotta give it to you, Marche’s Pork sausage is quite delicious. 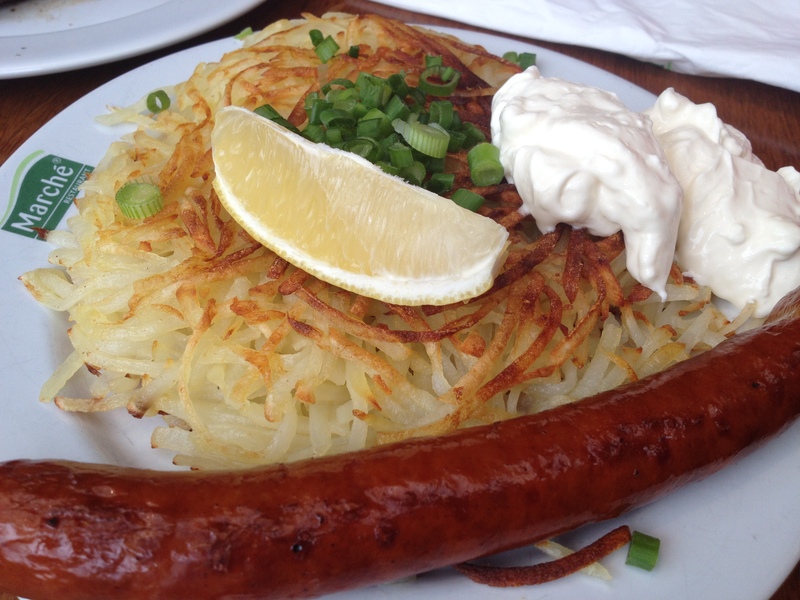 The sour cream is perfect for either the Rosti or the sausage. For the health-conscious, there’s always salad and fruits for you, if Marche’s Swiss Rosti is too fatty to handle. They serve a wide range of drinks as well, even German beers such as Lagerbeer, Dunkelbeer and Weissbeer. I particularly liked their Watermelon Lemonade. It’s refreshing and a bit sour for a hot day in Singapore ~ a perfect way to quench your thirst. 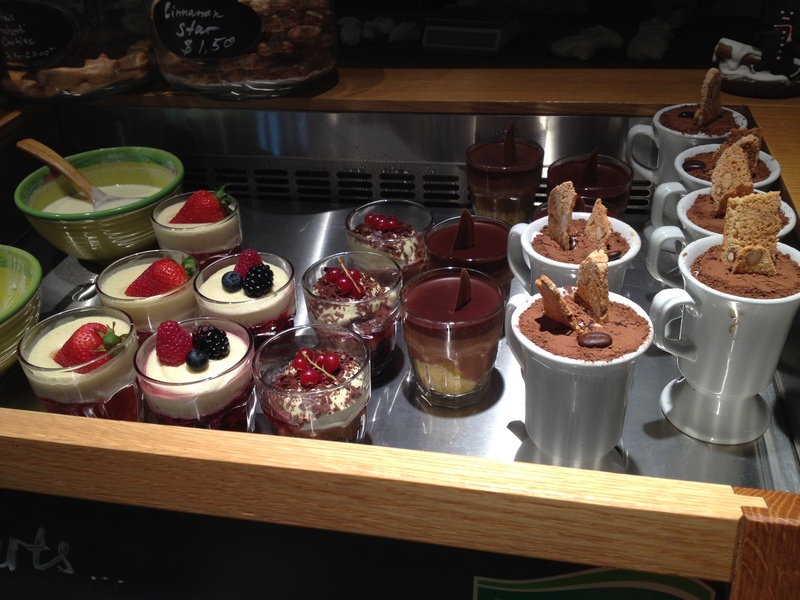 Marche also has desserts, and a number of them are chocolate mousses and crepes. For the sweet tooth, this should make you happy. Where is the Cheese Fondue? 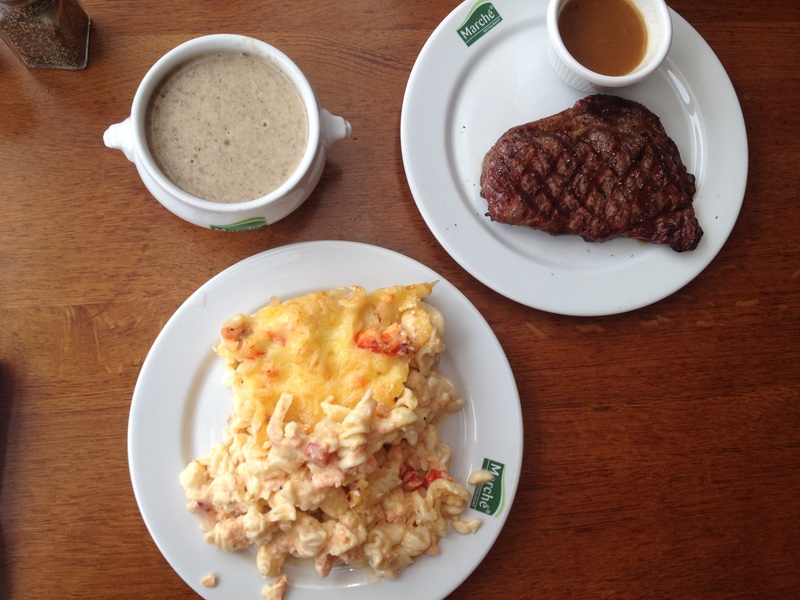 What I find missing in Marche’s restaurant is the Swiss’ iconic dish, Boiled Potatoes dipped in Cheese Fondue. That has to be one of the staples in Swiss cuisine, and actually, is the first thing I thought of whenever Swiss cuisine is to be discussed. This is a dish that people in Zurich or Geneva would eat whenever the temperatures would drop, and there’s nothing that could cure the cold feet except a nice pot of boiling cheese fondue. Keep in mind also that Switzerland is a country that’s rich in cheese. 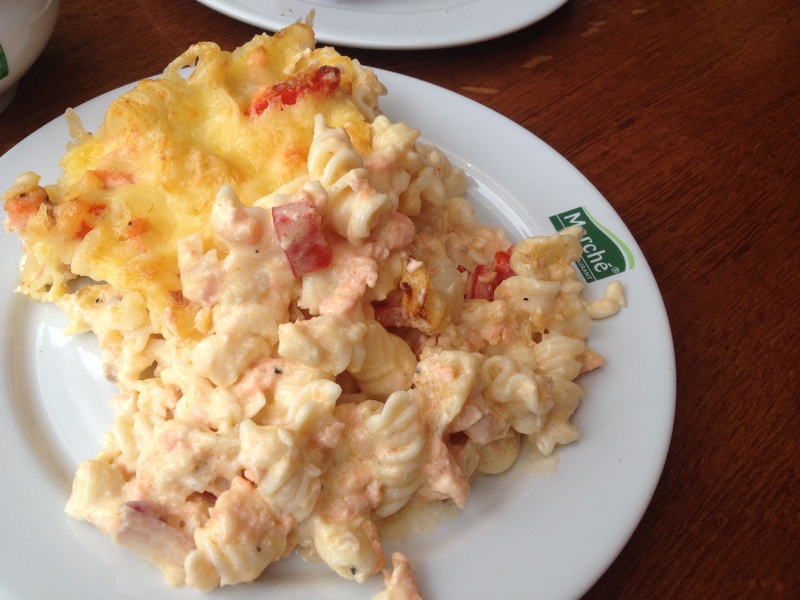 So a Swiss Market restaurant that lacks cheese, is not at all completely Swiss in cuisine. 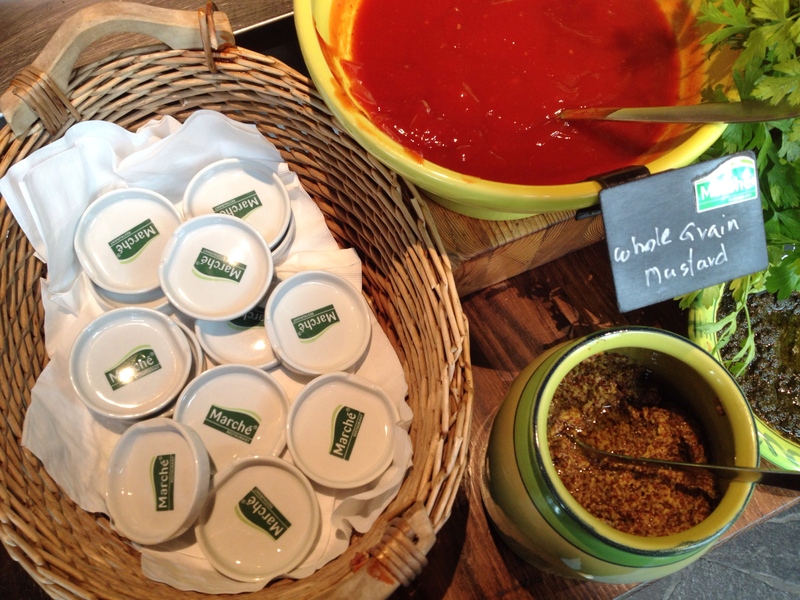 Apart from that, Marche is a good start in bringing Swiss cuisine into a whole new level of commercialization. I think other cuisines can follow this suit. I’d love for a Japanese restaurant to take the Tsukiji Market into a whole new level and turn this into a restaurant concept.